Hello everyone! I have a fun little Capture Card Tutorial for you! My favorite thing in this great bundle are the Scrabble-Type Chipboard Stickers! So fun! 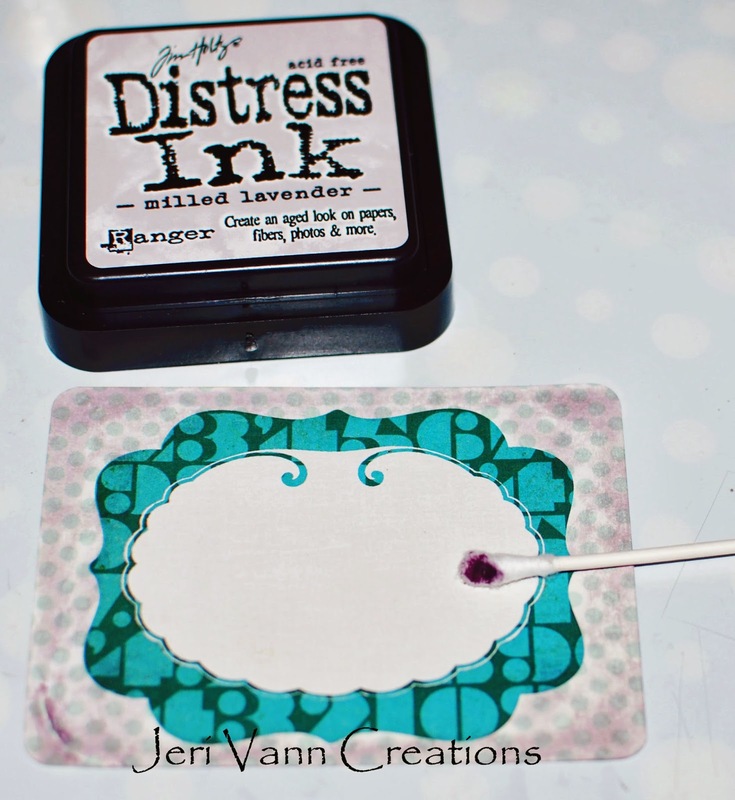 With Milled Lavender Distress Ink, apply it around the edges of the Journal Card. 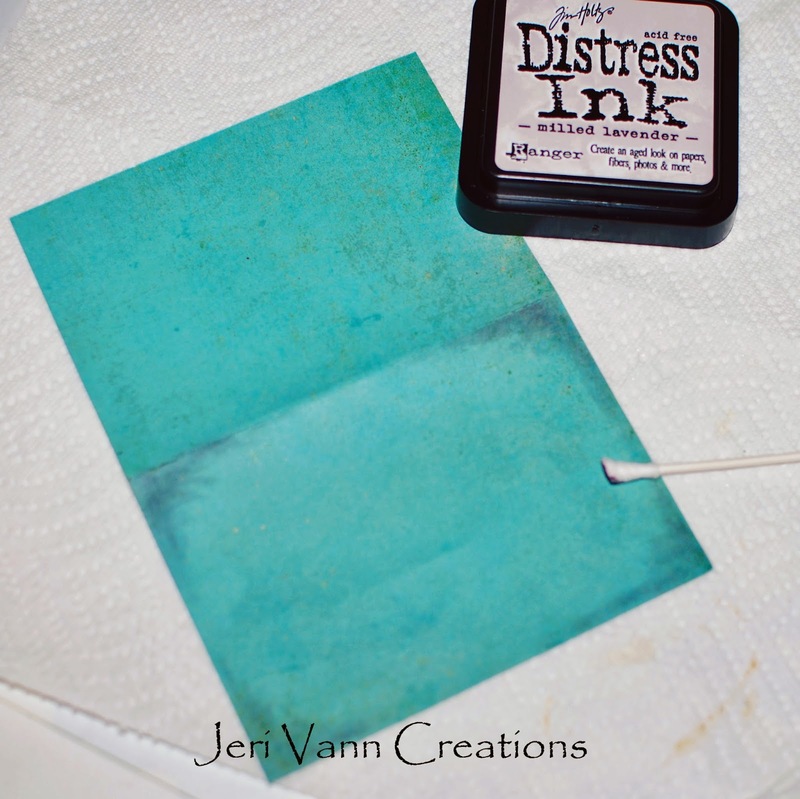 If you do not have a foam pad to use with your distress ink, you can use a q-tip. 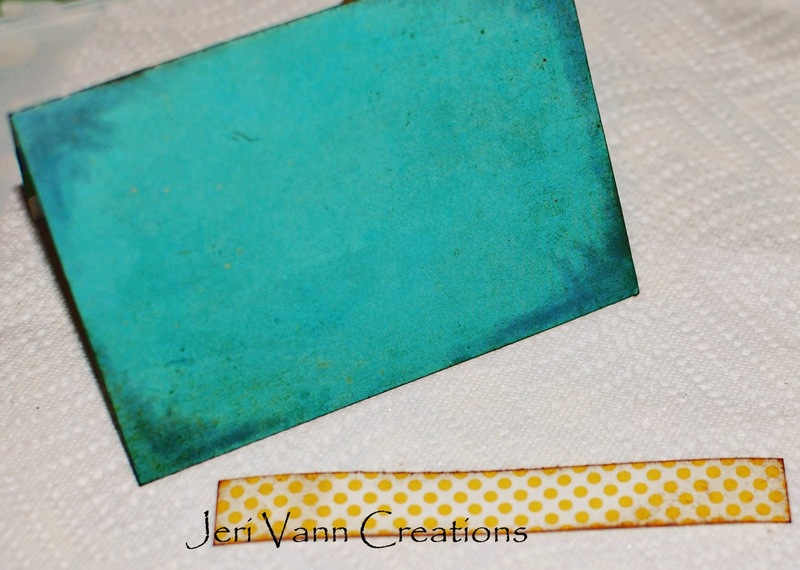 With Dried Marigold Distress Ink, apply this around the teal print on the card. As in photo. 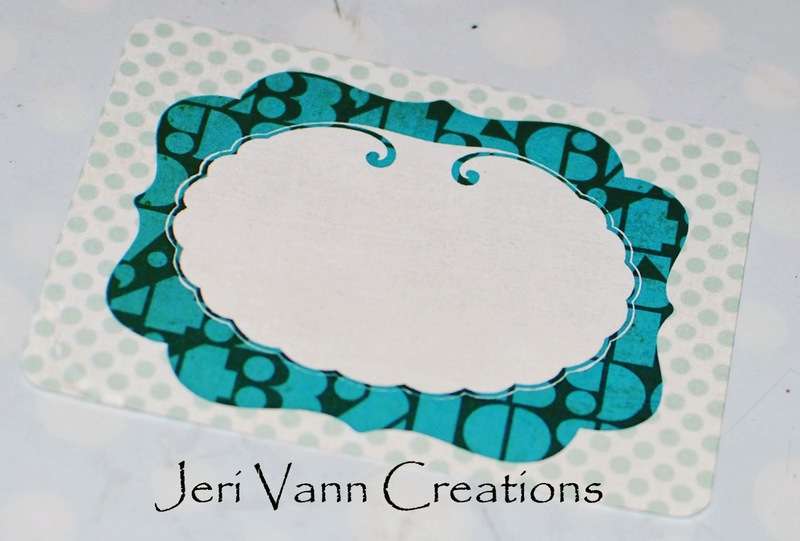 Use some Brown Ink and touch all of the edges of the card, this will ‘frame’ it more. 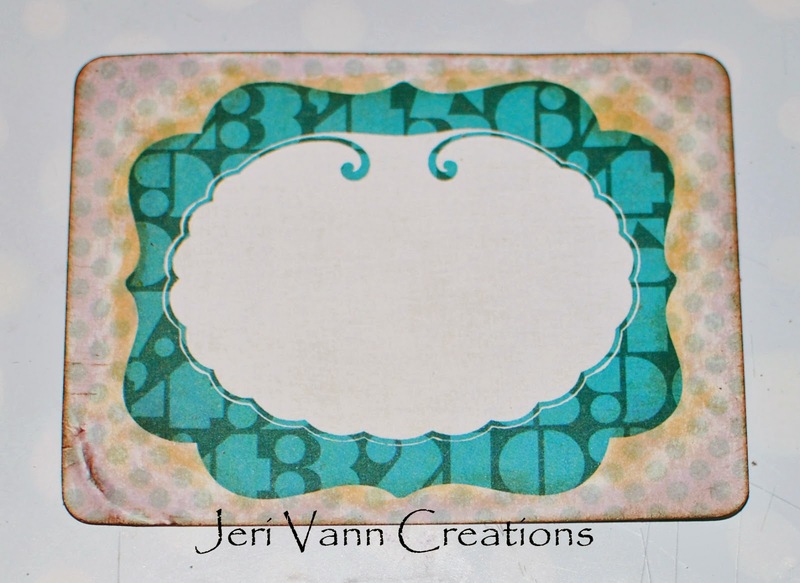 With the Biscotti Shimmer Mist, spray the Journal Card. It is a very fine, soft shimmer. (hard to see in photo). But I just love how it looks! Cut a Conversation Bubble from the Our Story Sheet. 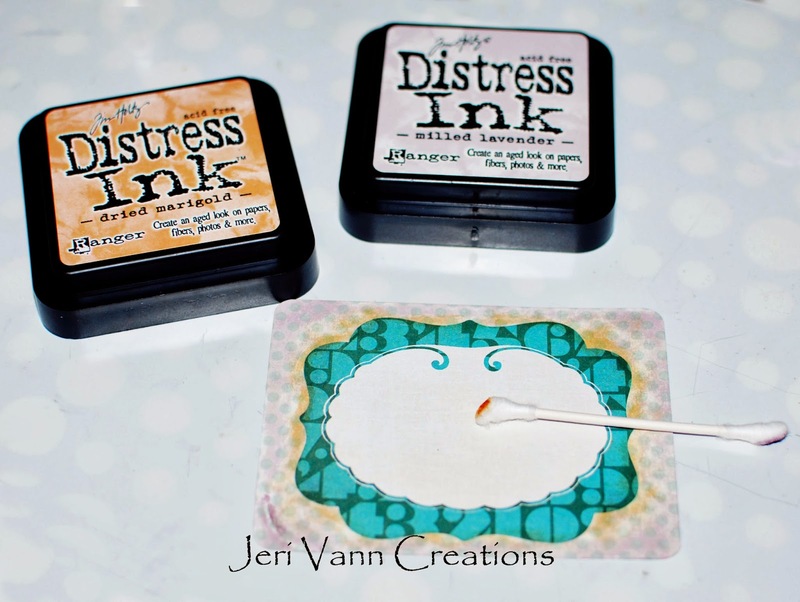 Add a drop of water to a q-tip, and then dab it in the Dried Marigold Distress Ink. Apply this to the bubble in a circular motion. The water will soften the paper and peel some of the fibers up. Creating a worn look. Ink around the bubble with Brown ink slightly. Cut a 6.75” x 4.75” piece from the Love This Sheet. Cut a strip 4.75” x 0.75” from the Today Sheet. Make sure this will fit across the front of the card. Ink all edges of the strip with Brown Ink. 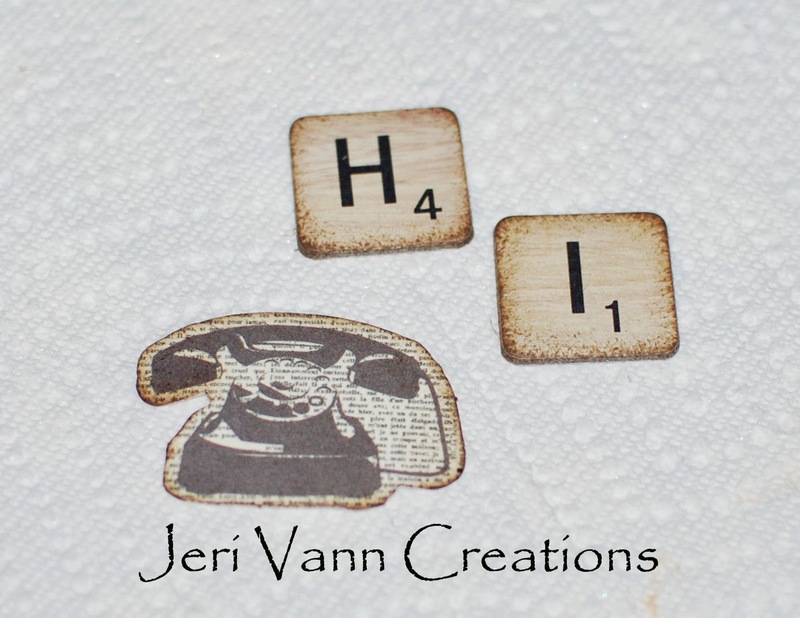 Find the Telephone Die Cut Shape and the H and I Chipboard Stickers. With the Brown Ink, ink the edges of these items slightly. 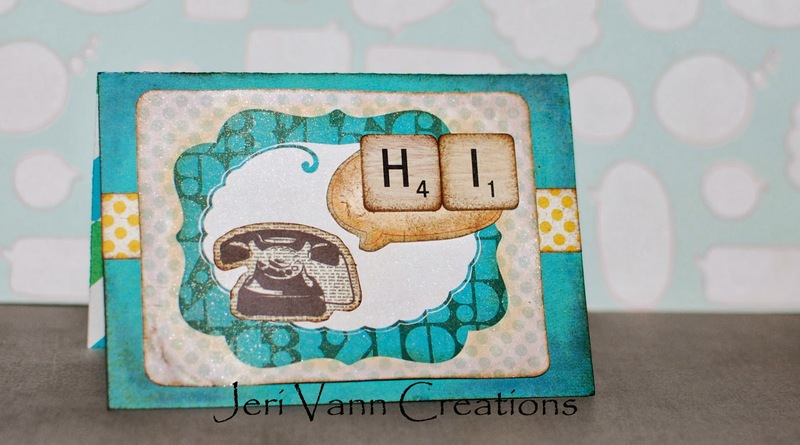 With double sided tape, secure the strip, the Journal Card, the Conversation Bubble and the Telephone to the front of the card. 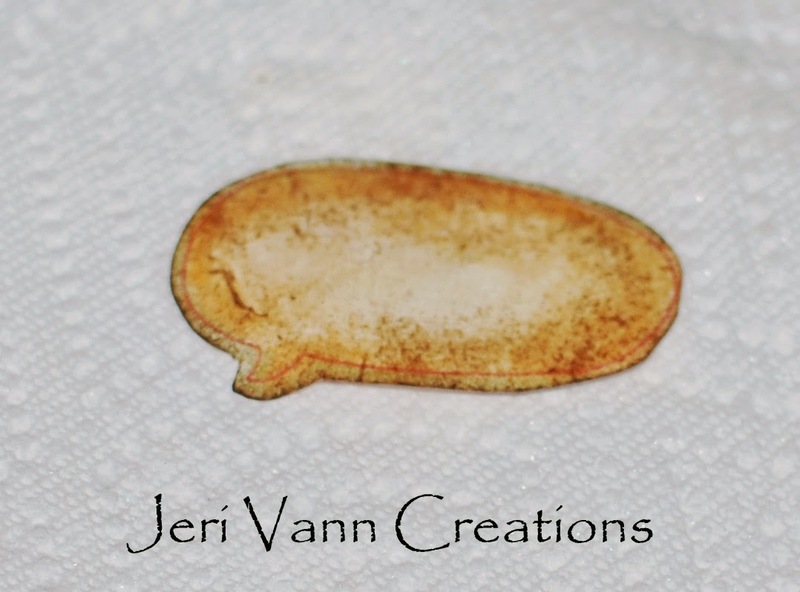 Peel the backs off the Chipboard Stickers and stick them on top of the Conversation Bubble. You now have a finished Capture Card!